For more than 60 years, Fender guitars, basses, and amplifiers have been helping musicians define rock & roll, rhythm & blues, jazz, country, and many other styles of music. 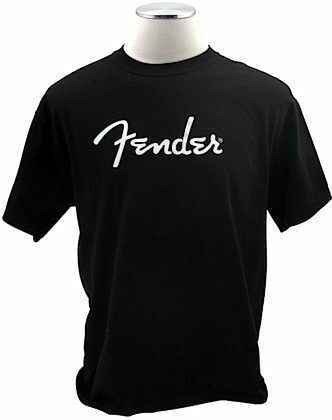 To pay homage to all the hit singles that have been recorded on Fender instruments, they offer Fender's Greatest Hits Collection of t-shirts. Each t-shirt is made of 100% pre-shrunk cotton, with full front screen prints, taped neck and shoulders, and double-needle stitching. Let 'em know who makes the finest musical instruments in the biz! This one says it all simply with the famous Fender spaghetti logo proudly displayed on the front.